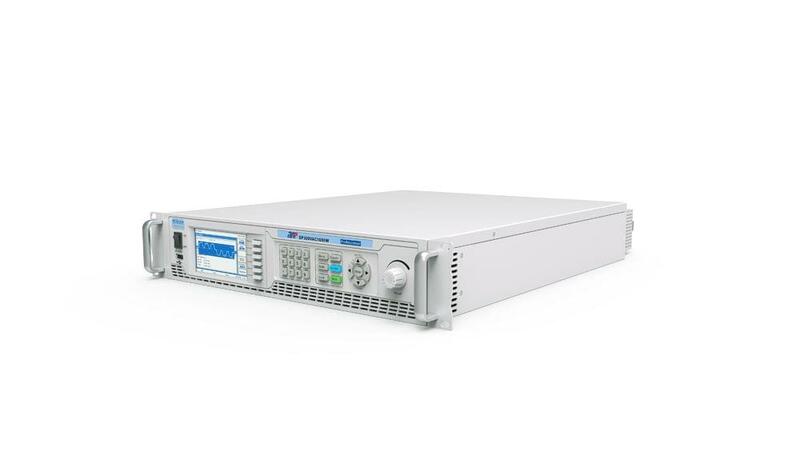 SP300VAC1000W is a switching mode single-channel output high-precision programmable AC power source, which adopts high speed DSP+CPLD control, high frequency PWM power technology and active PFC design to realize AC/DC stable output. SP300VAC1000W is featured with high power density, high reliability and high precision, meanwhile it possesses operation interface of touch screen and keys manually. It is able to analog output normal or abnormal input for electrical device to meet test requirements. ● 4.3’’ large touch color screen, possess complete functions and easy to operate. ● Support for LIST/PLUSE/STEP mode, simple time setting and circulation setting, which is suitable for power line disturbance simulation test.